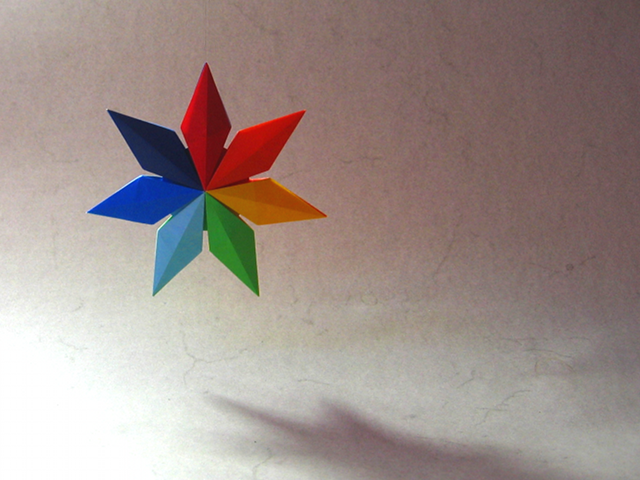 Coincidence or fate, shortly before Felix was born Carmen designed this star and named it "Stern Felix". When she heard that we'd called our son Felix, she dedicated this star to him. I feel very honored! I also immediately knew this would be the first model I'd fold after Felix's birth. Today - exactly 4 weeks after Felix's birth - was that day. 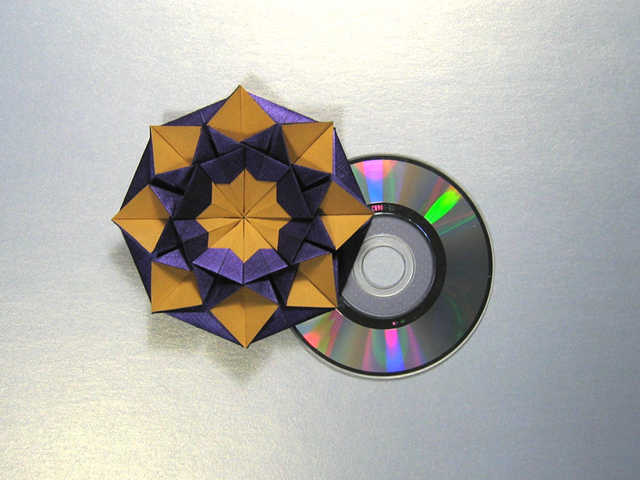 "Stern Helena" can be used as a wrapper for flat, circular shapes - such a CD or DVD. The model easily opens and closes to reveal and again hide the CD. With lots of people burning DVDs etc nowadays this is just about perfect for giving these away as a gift - especially when thinking about Christmas.